A recent article in DarkReading offers a powerful argument as to why the health care sector desperately needs to consider Service Oriented Architecture (SOA). In her piece Healthcare Suffers More Data Breaches Than Financial Services So Far This Year, Erika Chickowski cites a report indicating that security breeches in health care appear to be on the rise this year, with that sector reporting over three times more security incidents than the financial services industry. I worked for many years in a busy research hospital, and frankly this statistic doesn’t surprise me; health care has all of the elements the lead to the perfect storm of IT risk. If there is one sector that could surely benefit from adopting SOA as a pretext to re-evaluate security as a whole, it is health care. Hospitals and the health care eco-system that surround these are burdened with some of the most heavily siloed IT I have ever seen. There are a number of reasons why this is so, not the least of which is politics that often appear inspired by the House of Borgia. But the greatest contributing factor is the proliferation of single-purpose, closed and proprietary systems. Even the simplest portable x-ray machine has a tremendously sophisticated computer system inside of it. The Positron Emission Tomography (PET) systems that I worked on included racks of what at the time were state-of-the-art vector processors used to reconstruct massive raw data sets into understandable images. Most hospitals have been collecting systems like this for years, and are left with a curiosity cabinet of samples representing different brands and extant examples of nearly every technological fad since the 1970s. I’m actually sympathetic to the vendors here because their products have to serve two competing interests. The vendors need to package the entire system into a cohesive whole with minimal ins and outs to ensure it can reasonably pass the rigorous compliance necessary for new equipment. The more open a system is, the harder it is to control the potential variables, which is a truism also in the security industry. Even something as simple as OS patching needs to go through extensive validation because the stakes are so high. The best way to manage this is to close up the system as much as reasonably possible. In the early days of medical electronics, the diagnostic systems were very much standalone and this strategy was perfectly sound. Today, however, there is a need to share and consolidate data to potentially improve diagnosis. This means opening systems up—at least to allow access to the data, which when approached from the perspective of traditional, standalone systems, usually means a pretty rudimentary export. While medical informatics has benefited some from standardization efforts, the medical systems still generally reduce to islands of data connected by awkward bridges—and it is out of this reality that security issues arise. To prevent these kinds of glaring oversights, organizations need to find a better way to track data as it flows between the database and other systems. SOA makes sense in health care because it allows for effective compartmentalizing of services—be these MRI scanners, lab results, or admission records—that are governed in a manner consistent with an overall security architecture. Good SOA puts security and governance upfront. It provides a consistent framework that avoids the patchwork solutions that too easily mask significant security holes. A number of forward-looking health providers have adopted a SOA strategy with very positive results. Layer 7 Technologies partnered with the Universitry of Chicago Medical Center (UCMC) to build a SOA architecture for securely sharing clinical patient data with their research community. One of the great challenges in any medical research is to gather sample populations that are statistically significant. Hospitals collect enormous volumes of clinical data each day, but often these data cannot be shared with research groups because of issues in compliance, control of collection, patient consent, etc. 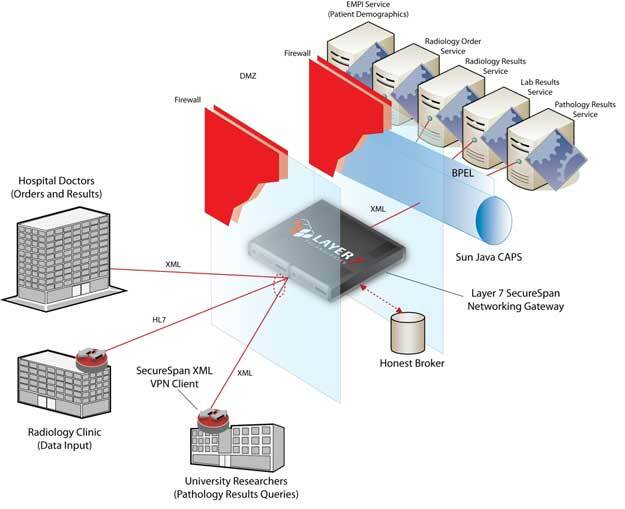 UCMC uses Layer 7’s SecureSpan Gateways as part of its secure SOA fabric to isolate patient data into zones of trust. 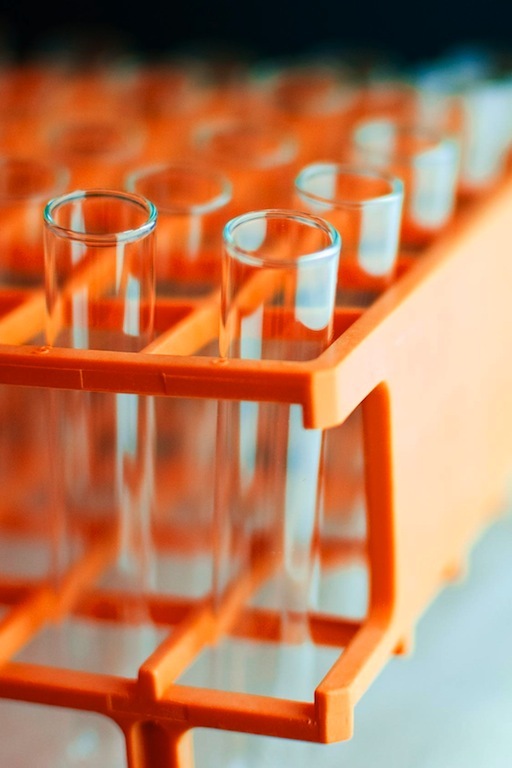 SecureSpan enforces a boundary between clinical and research zones. In situations where protocols allow clinical data to be shared with researchers, SecureSpan authorizes its use. SecureSpan even scrubs personally identifiable information from clinical data—effectively anonymizing the data set—so that it can be ethically incorporated into research protocols. The UCMS use case is a great example of how SOA can be a protector of information, promoting the valuable use of data while ensuring that only the right people have access to the right views of that information. To learn more about this use case, take a look at the detailed description available on the Layer 7 Technologies web site. I’ll be speaking next week at the Object Management Group’s conference on SOA in Healthcare. It’s next week, June 2-4 at the Hyatt Regency in Chicago. I’ll be presenting a case study of a deployment we did with the University of Chicago Medical Center. I’ve spoken at a few OMG meetings in the past and they are very good. It kind of feels like a return to my roots. I started my career in a medical imaging research group at the University of British Columbia. Hope to see you in Chicago.